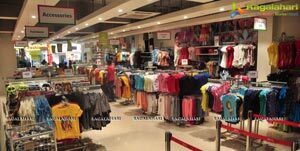 Easybuy the new apparel value retail format from the Landmark Groupis all set to redefine the value fashion market of Vijaywada city with the launch of its first store in Old Yax & Yax building, Kaleshwara Rao Road, Besant Road Cross. Landmark Group is one of the leading retail group in the country having retail formats like Lifestyle, Max and Spar under its umbrella. 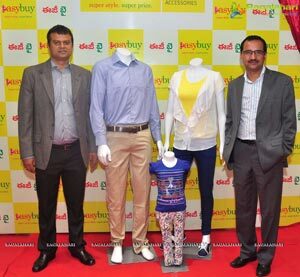 The opening of the first store in Vijaywada marks the emerging foothold of easybuy in Andhra Pradesh, which is an important region for the national retail brand. The Brandis very excited to launch its store in Vijaywada and will continue to invest in this region and looks forward to opening more stores thus making its presence in the value fashion market of the state. The new Easybuy store promises to provide customers a one stop shop for value fashion and is positioned as providing “super style, super price “. 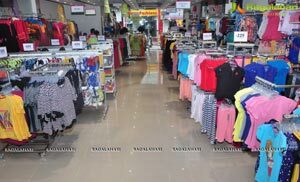 The store is Spread across 4,000 sqft, and it offers trendy fashion solutions for the entire family across different categories - apparel, footwear and accessories. The store provides a shopping experience with dedicated sections for men, women and children making shopping a pleasurable experience. The Easybuy range has over 1000 styles in the price range of Rs. 69 to Rs. 699. The product range is trendy with integrated design and colour palette for the season and at the same time appeal to the local sensibilities through appropriate styling. The Easybuy stores are located in high streets of tier 2-tier 3 cities thereby ensuring great convenience of shopping and quality service for the middle class family. Sharing his views on the growth strategy of the brand, Mr. Rajiv Ranjan, Vice President & Busines Head- Easybuy said, Landmark Group India has launched its new value apparel retail format “Easybuy” targeting the middle class families in tier 2-tier 3 cities of “Bharat” which comprise of Non metro & semi urban India. The customer segment here wants to be trendy have are stricted choice of outlets, especially in Value Fashion. Easybuy store will look at addressing this need. ''Easybuy also invited orphanage kids from SKCV (street kids community village) & distributed gifts to these little children's to give them a good experience at the store.'' The Children visited the Easybuy store to experience the store offerings for them. 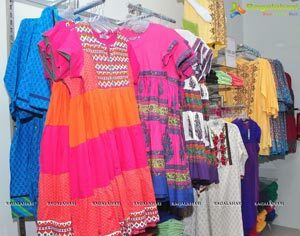 Keeping the 'NAVBHARAT' customers in mind, Easybuy's constant endeavour is to come up with trendy and stylish apparels ranges at unbeatable prices.The Autumn Winter collection lives to the ideology of 'Super Style, Super Price' by creating a mix of style and utility at the best price in the market. Women's wear AW15 collection is youthful and fresh, incorporating the best of fashion forecast and market inputs and customized to suit the needs of value customers. Kid's wear collection is the right mix of cuteness and style for their little ones while Men's wear tries to derive the best out of current trends and create its own mark in terms of affordable yet stylish clothing for men. Easybuy hasalso announced an exclusive inaugural offer - Shop for Rs.1500 or above and get an unconditional gift voucher worth Rs. 150. About Easybuy: Easybuy exclusive stores are of approx. 5000 sft size and have a wide range of quality clothing covering Menswear, Ladieswear, kidswear, Footwear and Accessories under “Easybuy” label. Easybuy label is also launched in select Spar Hypermarket stores in India to service their customers. Spar stores are spread across Bangalore, Chennai, Delhi NCR, Pune and other key cities in India. Easybuy stores are already launched in the Tier 2 /3 cities ( South India) of Karimnagar, Khammam ,Erode & Bheemavaram in the past 1 year . More stores are soon to be opened in several other cities across South India .